Using herbs for treating scalp problems has been done for centuries and contrary to what some people think we can easily use them at home. All the herbs mentioned below stops hair loss, helps in hair regrowth and thinning hair. Most of these Indian herbs can be easily found at home, if not try substituting with good quality powders. When buying the powders make sure to check for additional ingredients. Last month my co sister bought a herb powder and she mentioned that she had got the pure powder recommended by the shop owner. When I saw the ingredient list, it had other ingredients mixed with it. So when buying herb powders please make sure you are getting only the pure powder not herbal mixes. Especially in India, using herbs for making hair oils is very very common and each family will have their own unique method of making them. If using fresh herbs, try to use the freshest herbs for best results. When making the oils make sure not to heat the oil too much else the herbs will burn. Especially ground herbs burn easily so keep a close watch. 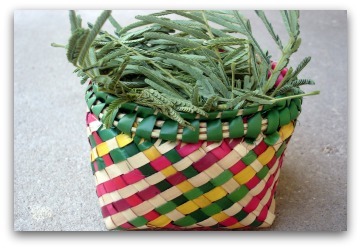 Other common way herbs are used is by making hair packs with them. Hair packs can be used to condition, nourish and treat, certain herbs like neem treat scalp infections very very effectively if used as a hair pack. Herbs can be taken internally too to treat certain deficiencies that result in hair loss. Like for instance, it is a common advise in our place to eat curry leaves for hair growth as it is high in iron. Curry leaves is wonderful in nourishing the hair both when taken internally along with food and applied externally either as a hair pack or as a hair oil. 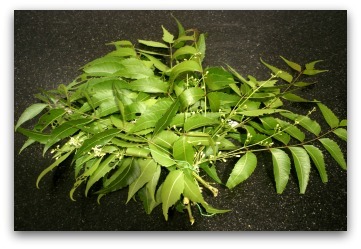 Try not to discard the curry leaves in the food and apply curry leaf oil regularly to stop hair fall. Try to use pesticide free curry leaves for best results. 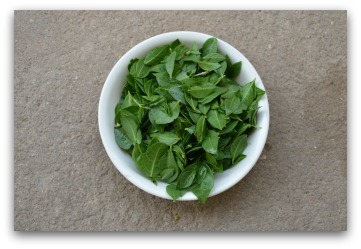 Bhringraj is an other herb that has been used for hair for centuries. 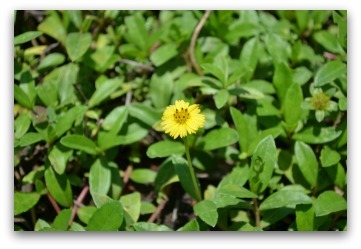 There are 2 common varieties of bhringraj plants, one produces yellow and the other produces white flowers. You can use either one for hair oil preparation. The hair oil made with bhringraj nourishes and conditions the hair really well. 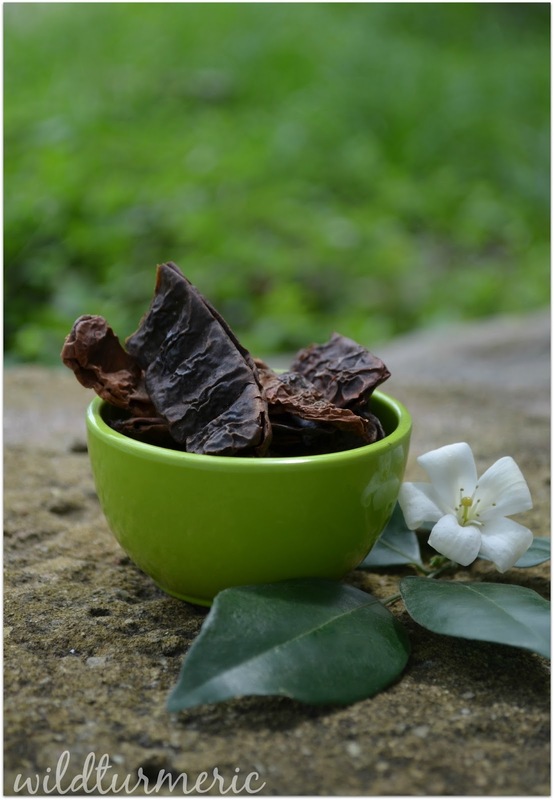 Though arappu leaves are not very famous, it is a very good natural shampoo. The leaves are ground into a powder and used for having hair wash. Though it might be messy and hard to use it at first, you will get used to it very soon. It is a very good natural body coolant, the only problem is good quality arappu powder is increasingly hard to get. Shikakai is an other ingredient used in hair care for centuries. 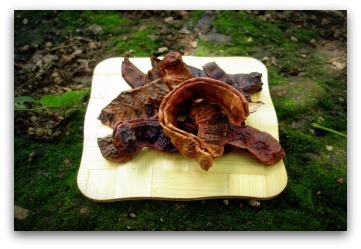 Shikakai can be used as a powder or by boiling the pods in water. Shikakai cleans the scalp well and at the same treats scalp infections. Shikakai can be a bit drying so use a conditioner later. I prefer to use it along with reetha, fenugreek seeds and amla. 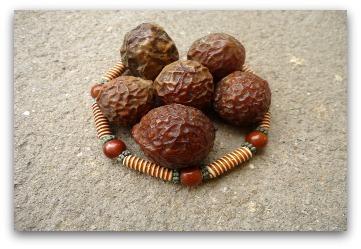 Reetha also called as soapnut is so very famous all over the world for it’s use in cleaning the scalp. It is a good alternative to chemical based shampoos. But like shikakai it can be a bit drying on the scalp so condition your hair after using it. Also try using conditioning ingredients like fenugreek and amla with it. Neem leaves are wonderful in treating the scalp infections. Especially for scalp boils, itchy scalp and dandruff nothing can beat neem leaf paste in treating them very quickly. 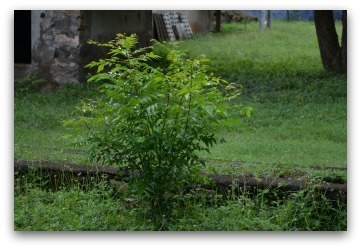 The best way to use neem leaves for hair is by using it in hair packs or by making a hair rinse with it. 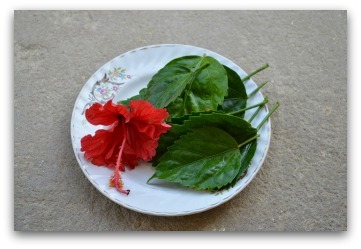 Brahmi hair oil made with fresh brahmi leaves is so well known in India. Brahmi oil stimulates hair growth and can be easily made at home. The best homemade brahmi oil is made with fresh brahmi leaves, amla and fenugreek seeds. 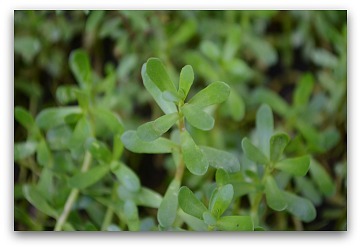 Brahmi oil should be used regularly to see results. 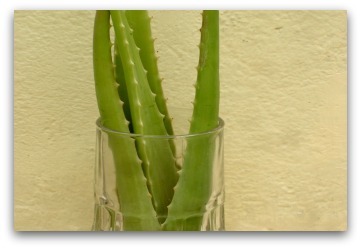 Pure Aloe Vera treats all scalp infections and is great used in any form whether as an oil or as hair pack. But it is really hard to get 100 % pure Aloe Vera gel in the markets, it is usually colored, perfumed and mixed with preservatives to increase the shelf life. Even if not often, when you do use it I would suggest using the fresh gel of the plant for best results. Hi,Just want to say thank you for writing your blog! I love learning about herbs and I really like how you explain everything in such detail. Any idea about applying onion juice on scalp? There are lot of recipes with Aloe Vera for external application in the blog please look for them in the beauty remedies page on top…. The Tamil name for bhringraj is karisalankanni…. Arappu leave powder and usilampodi. They are one and the same, are they not? Hello Ramya, Wonderful blog. I was wondering if you could add the latin, scientific name of plants as well. For people in other countries is difficult to identify or buy seeds of those plants without it. Thank you. Hi, thanks for your suggestion. I usually write the scientific name, common name along with regional names when I am writing about a single herb elaborately…. When I was suffering from the hair loss problem, I tried many hair products to stop this problem but none of them worked well. After reading your article of herbal remedies for hair growth, I have tried some methods to increase my hair growth and they work amazingly on my hair. My hairs have become more long and manageable. So, for me your list of herbal remedies to increase hair growth is easy as well as affordable. This is very effective way to treat our problems and I think your information is very interesting.